The National Transportation Safety Board has confirmed an initial finding that the captain and first officer of a flight that overflew its destination in Hawaii inadvertently fell asleep while the plane was on autopilot. The NTSB on Monday issued its final report in the case of a 2008 go! airlines flight from Honolulu that overflew Hilo International Airport by 30 miles. A contributing factor in the incident was the captain's previously undiagnosed severe obstructive sleep apnea, a condition that likely caused him to experience chronic daytime fatigue and contributed to his falling asleep during the Feb. 13, 2008, flight, the NTSB said. Another contributing factor was the flight crew's then-recent work schedules, which included several consecutive days of early morning start times, it said. The day of the incident "was the third consecutive day that both pilots started duty at 0540," the final report said. 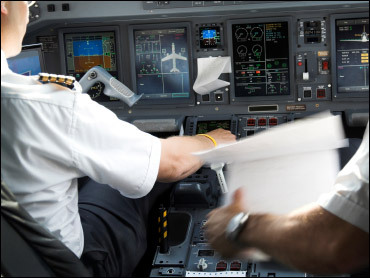 "This likely caused the pilots to receive less daily sleep than is needed to sustain optimal alertness and resulted in an accumulation of sleep debt and increased levels of daytime fatigue." "The effect of early start times on sleep is well documented," the NTSB said. "A 1998 National Aeronautics and Space Administration Report, 'Flight Crew Fatigue II: Short-haul fixed wing air transport operations,' for example, concluded that requiring early report times makes it more difficult for crew members to obtain adequate sleep," it said. The NTSB also cited a 1998 report published by North Atlantic Treaty Organization Research and Technology Organization that concluded "pilots reporting before 0600 had a significantly shorter total sleep time, impaired sleep quality, and impaired performance both preflight and at top of descent." Flight 1002, with 43 people aboard, passed over Hilo International Airport at 21,000 feet and continued straight on over open ocean before the pilots awoke and landed the plane safely.